In this guide we’re going to show you the Best VPN for Reddit. Either to unblock the site if it’s blocked in your country or to access it semi-anonymously. Reddit is one of the most popular messaging boards on the internet and is used the world over covering thousands if not millions of topics. Unfortunately because the site allows for a wide range of topics to be discussed you will often find it blocked in certain countries and this is solely because one discussion topic falls fowl of local laws, the other 99.9% of the site is perfectly fine but it gets caught up in the block. There are plenty of other reasons you’ll want to use a VPN to access Reddit outside of the simple fact of the site being blocked. So we’ve rounded up the 5 best VPN services for Reddit to help you make a buying decision. IPVanish is our top rated VPN provider and is the best for accessing Reddit. There are over 60 worldwide servers available which allow you to access Reddit from multiple countries. Speeds on the service are some of the best we’ve experienced which make accessing Reddit easy when connected to the VPN service and there are no noticeable slowdowns or speed issues. One of our favourite features for accessing Reddit is many countries offer multiple city locations which are able to be selected individually. If you’ve found in the past with other VPN providers that some servers are blocked on Reddit, the ability to select cities will help you avoid this. IPVanish has apps for Android and iOS phones and tablets and there’s also software for Windows and Mac. You can use these on up to 5 devices concurrently which will let you access Reddit on any capable device. ExpressVPN have a huge range of server locations which is one of their main selling points. If you want to access Reddit from multiple locations or you’re worried about servers being blocked from accessing then the massive 94 countries available will cover this. Our favourite feature is the huge 30-day money back guarantee that is available which lets you test the service risk free for an entire month, if you find it’s just not up to scratch for use with Reddit then you can easily get a refund. Like IPVanish they offer apps for Android and iOS and also software for Windows and Mac. There is even a Linux client so you’ll be able to access Reddit on almost all devices. Access is available on 3 devices concurrently allowing you to visit Reddit on your mobile, tablet and desktop at the same time if you wish, or you can allow other family members in the same household to share the one account. If you’re Reddit addicts then this will be a bonus. 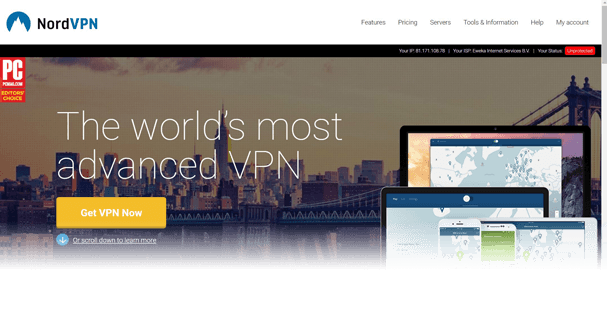 If you’re looking for a VPN service to access Reddit that has advanced options then NordVPN is the provider you should consider first. They have over 58 server locations across the world and many of the servers available come with enhanced encryption features that you won’t find at many other providers. All the NordVPN servers are suitable for accessing Reddit however many will give you added security. Most notably the double-hop servers available on NordVPN which pass your data through not just one server, but two. These two servers are located in two different countries giving an added layer of security by passing your data through two jurisdictions. NordVPN’s speeds are consistent, while some are super fast, others offer just average speeds. However, even though there is some inconsistency this isn’t noticeable when browsing websites such as Reddit and unless you’re a heavy downloader then you probably won’t even notice these inconsistencies. If you want to access Reddit with minimal effort and without any complicated set-up then VyprVPN tick that box. 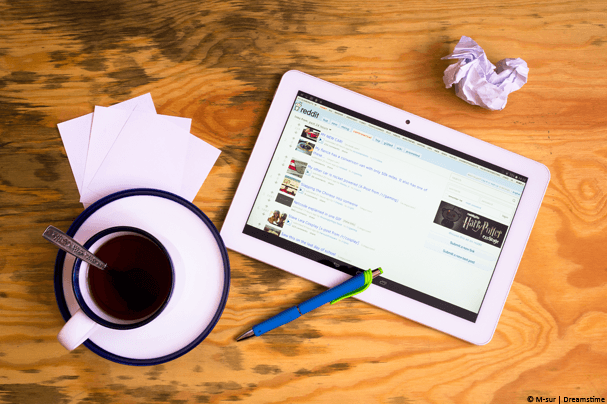 Their apps are some of the easiest we’ve used and we found them to be the most user-friendly. With just one or two clicks you can be connected and access Reddit quickly and simply. Our favourite feature of the service is without a doubt the completely free 3-day trial. You will need to enter your payment details but as long as you cancel before the 3-days expire then you won’t be charged anything. If you want to keep the service after the three day trial then you don’t need to do anything more and you’ll be charged automatically for your first billing period. 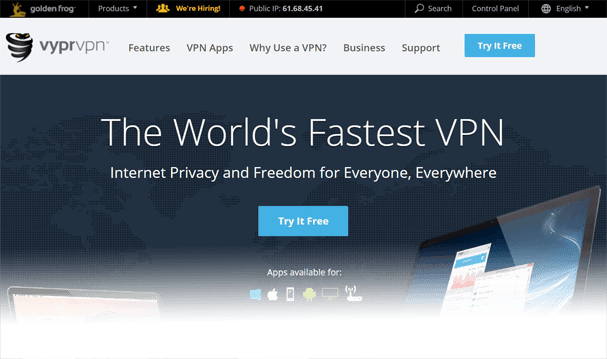 VyprVPN offers apps for Android and iOS and there is also software for Windows and Mac computers. If you want to access Reddit but you don’t want to break the bank then PrivateInternetAccess is the VPN service you should look towards. They’re one of the cheapest VPN providers in the industry and while they aren’t quite the fastest they do offer a decent service that is more than fast enough for accessing Reddit and carrying out other similar web browsing. There are 25 VPN locations across the world and while it isn’t as many as some of the more expensive, the price can be half of what others are charging. If you don’t need access to a wealth of servers then you can definitely save yourself some money by signing up to PrivateInternetAccess. PrivateInternetAccess or PIA as they’re otherwise known get a host of positive reviews across the internet from users and apart from a few concerns about speed, which wouldn’t affect web browsing anyway, there are not too many negatives to be found. Many VPN services are suitable for accessing Reddit both if the site is blocked in your location or on your network, or if you want to remain semi-anonymous when using the service. However, there is a huge variety of providers and not all are of similar quality even though they often cost the same. The 5 providers above are some of the best available and they’re more than suitable for accessing Reddit. If you’re still confused, not to worry. We recommend IPVanish but you can really choose any of the 5 above as they’re all suitable for use with Reddit. Just pick one, sign up and enjoy accessing Reddit privately. 1Password review for iOS, an in-depth look!